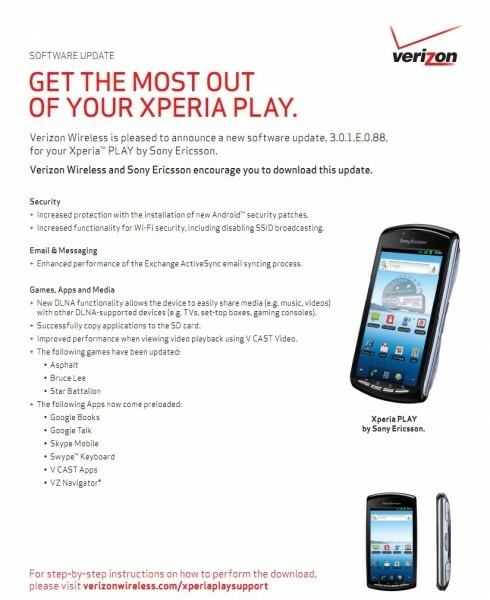 A handful of Xperia PLAY owners received an update to Android 2.3.3 over the weekend, only we weren’t exactly sure what was included. Thanks for Verizon’s support pages, we now know all of the dirty details. Some of the games were updated, security enhancements tossed in, and a bunch of pre-loaded apps were included such as Swype. The update is 55MB and will bring your device up to build 3.0.1.E.0.88.